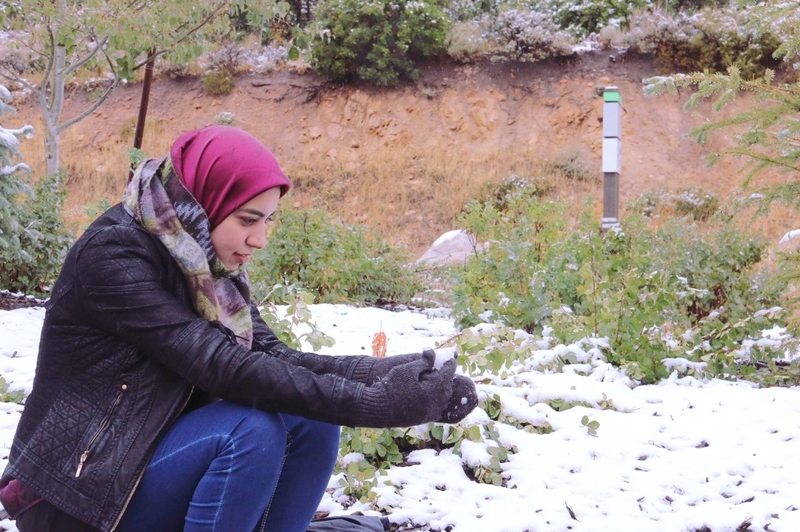 Ms. Raghda Abo-Seif of Egypt visited Utah with Advancing and Sustaining Civic Engagement, a program of professionals that explored U.S. and international initiatives to promote civic engagement. She works as the International Relations Manager at the Human Rights Association for Community Development in Assiut, Egypt. In her role, Ms. Abo-Seif, prepares and writes reports concerning Egypt and contributes to the UN’s Economic and Social Council in a consultative capacity. Ms. Abo-Seif is also a representative to the Anna Lindh Euro-Mediterranean Foundation for the Dialogue Between Cultures, and participated in the UN’s Universal Periodic Review concerning Egypt in 2014. Ms. Abo-Seif shared with UCCD how thoroughly she enjoyed her time in Utah and the impact it had on her both professionally and personally. 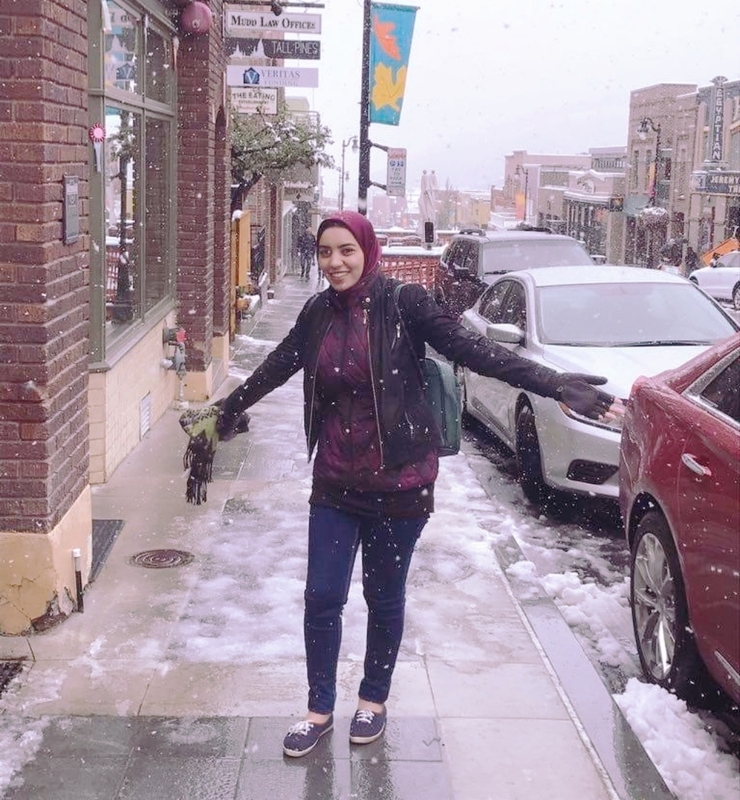 Calling Utah a “calm, peaceful” place with “very hospitable and friendly” people, Ms. Abo-Seif states that her visit to the state “was the best; I can’t stress enough on how these were [some] of the best and most important days I’ve ever experienced in my life." 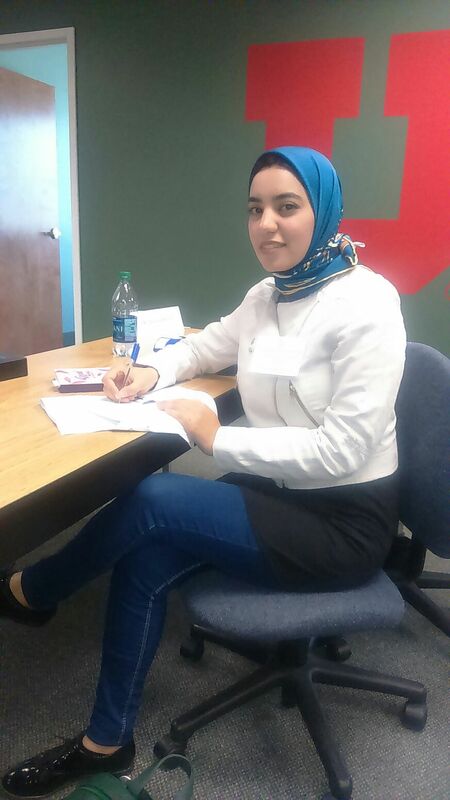 Ms. Abo-Seif at the University of Utah. While in Utah, Ms. Abo-Seif attended a workshop at the University of Utah’s Nonprofit Academy for Excellence, which provides tips in nonprofit management and governance. The workshop focused on learning about leadership and project management and how they apply to nonprofit organizations. Upon returning to Egypt, Ms. Abo-Seif shared the things she learned in the workshop with those she knew, stating that they will not only benefit from the information, but will be able to spread the knowledge to others, further deepening understanding of leadership skills. Additionally, Ms. Abo-Seif took part in the Emerging Leaders Initiative where she learned of strategies to engage a younger generation to be in involved in the policy-making process. Ms. Abo-Sief says the Initiative opening her eyes to the power and importance of the voices of the younger generation, and that we must create a space in communities for them to participate in the policy-making process. Returning to Egypt, Ms. Abo-Seif cooperated with nonprofit organizations to hold awareness campaigns ahead of the country’s elections to encourage youth to run for office and to empower themselves by voting for youth candidates. Ms. Abo-Seif enjoying the snow in Park City. UCCD echoes Ms. Abo-Seif’s insights as we aim to promote respect and understanding between the people of Utah and other nations, “one handshake at a time.” We wish Ms. Abo-Seif the best in her continued actions to promote civic engagement within Egypt.